NEW YORK (AP) _ President Donald Trump may be reveling in what he sees as "complete and total exoneration'' from special counsel Robert Mueller's investigation, but his legal perils are far from over. Cohen told Congress in testimony last month he is in "constant contact'' with prosecutors involving ongoing investigations. The Justice Department declared Sunday that Mueller's two-year investigation found no evidence that Trump's campaign "conspired or coordinated'' with Russia to influence the 2016 presidential election, and did not come to a definitive answer on whether Trump obstructed justice. "If you've got Michael Cohen, the president's former lawyer, as a tour guide, that means you could go anywhere,'' former Gov. Chris Christie of New Jersey told MSNBC recently. The inquiry into the committee has focused partly on whether donors received "benefits'' after making contributions or whether foreign nationals made barred donations, according to a subpoena sent to the committee. The same document shows prosecutors are looking at whether the committee's vendors were paid with unreported donations. 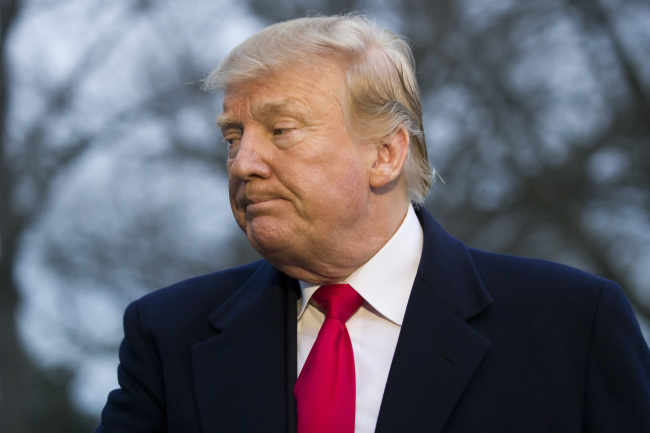 The possibility of Trump's re-election has raised questions about whether that deadline could be tolled _ suspended _ for the duration of his presidency. James, New York's attorney general, also has a pending lawsuit alleging Trump and his family illegally ran the Trump Foundation as an extension of his businesses and presidential campaign. And she has called for a "full examination'' of a New York Times report accusing Trump's family of benefiting from "dubious tax schemes'' in the 1990s.